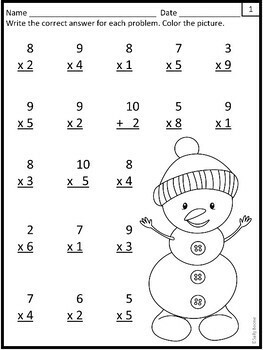 Add to your winter theme with multiplication worksheets. 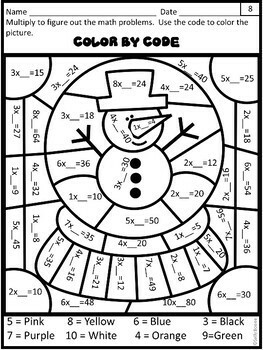 This set includes color by code and basic fact worksheets. 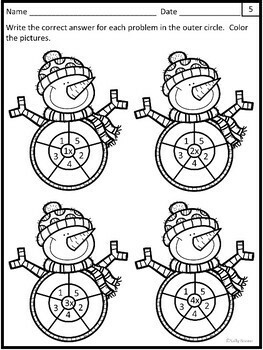 This is perfect for your 3rd graders and provides plenty of practice. This packet includes 8 worksheets. 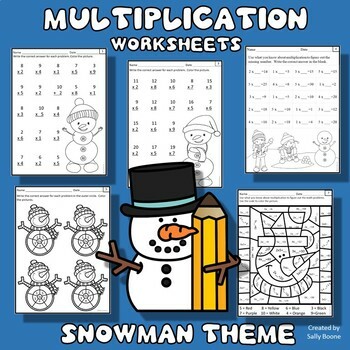 Two are snowman color by codes and six are basic fact worksheets. Basic facts include calculations to determine the product and finding the missing number or the multiplier. Answer Keys are included. Check out this resource to use with your small group intervention. Click here to follow me and get updates, information on sales and news of recently added resources. I always discount my new products for the first 24 hours!